Austin's Premier Hunter & Casablanca Fan Store. 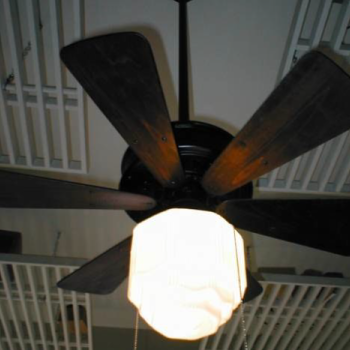 Located in the historic West 6th Street business district and boasting Austin's only antique fan museum, Texas ceiling fans prides itself on quality products and exemplary service. Click here to read more about this Austin icon. In the age of disposability, few products have earned the right to be called classics. 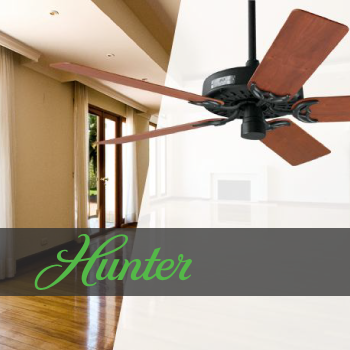 With legendary fans like the Hunter Classic Original, the Hunter Fan Company contiues it's long tradition of superior quality and innovative design. Click here to read more about Hunter Fans. With simplicity in mind, Casablanca set out to create a line like you’ve never seen before. 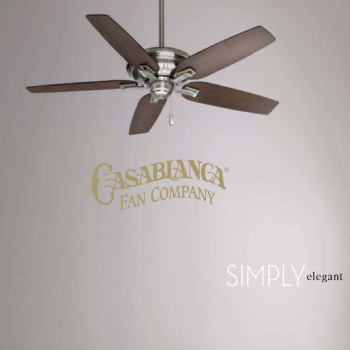 One that still combines artful design with the highest-quality materials, innovative engineering and flawless functionality to create the world’s finest ceiling fans. 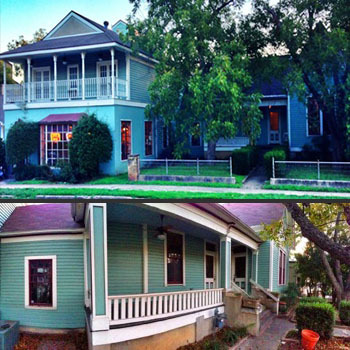 A gem of historic Austin, awaiting restoration. A real bargain, as we sell restored ones for $2495. Come in and see the one hanging in our museum. Sold as-is, although motors are guaranteed! exclusive of glassware. 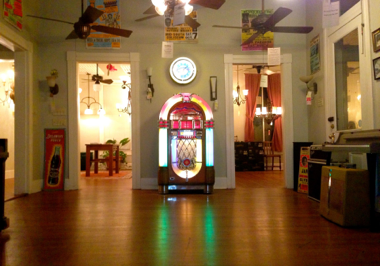 Please come visit us at our old Austin historic location for a first class, hands on fan shopping experience. 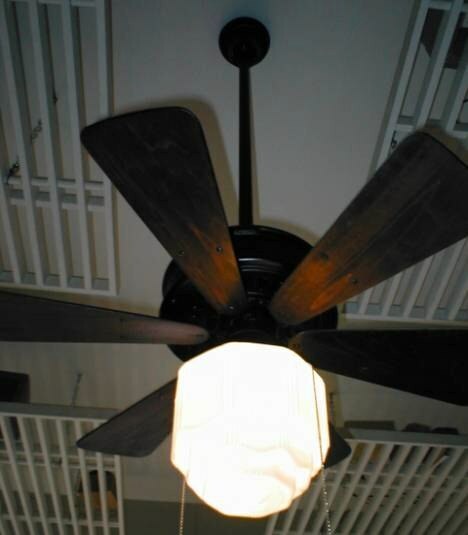 We have a premier selection of Hunter and Casablanca ceiling fans in stock and on display in our store that you can take home today. We also carry and can custom order products from Minka Aire, Fanimation, The Modern Fan Co., Quorum, Modern Forms, and Kichler. Check our Products and Services page for links to all of our manufacturers. Come in and let our knowledge and experience help you with your selection. The hotel opened in 1924 at 6th and Guadalupe, with six-blade Emerson ceiling fans in every room. The Fans were removed, prior to demolition, in 1984. A gem of historic Austin, awaiting restoration. A real bargain, as we sell restored ones for $2495. Come in and see the one hanging in our museum. *sold as-is, although motors are guaranteed! exclusive of glassware. A real bargain at $250 - These sell for $2495 in restored condition! Come in and see the one hanging in our museum. *sold as-is, although motors are guaranteed! exclusive of glassware. We accept major credit cards as well as cash. Full refund for merchendise within 14 days of purchase with original sales receipt. Items must be in original unopened packaging. 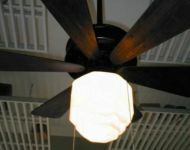 Texas Ceiling Fans is centrally located in Austin’s historical W. 6th St business district between Lamar and Mopac (Loop 1). There is excess parking in the rear of 1205 and 1207 West 6th Street. Parking can be accessed from Walsh (between 5th and 6th Street) or from 6th Street by utilizing the driveway between 1203 W. 6th St. (LIN Asian Bar) and 1205 W. 6th St.